It's now only about a month before we head overseas. 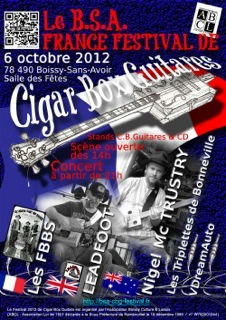 One of the highlights I'm sure will be playing at the French cigar box guitar festival in Boissy-Sans-Avoir just outside Paris on 6 October (http://www.bsa-cbg-festival.fr). Here's a poster for the festival. 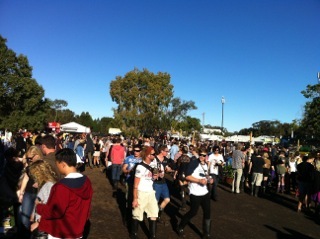 Had a great time at Splendour – saw some good music (highlights were Jack White, The Dirty Three and the buy cheap viagra online next day delivery teepee area) and met some colourful characters – costumes were the order of the day. Here's a couple of photos. I've put up new cigar box guitars on my products page with a range of different looks, boxes, timbers and pick ups. 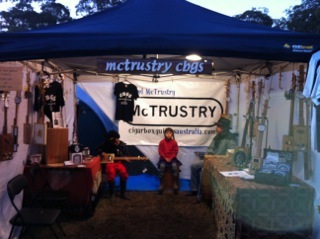 I'll next be at the Gympie Muster from 22 to 26 August. Hope to see viagra pills you there! Can't wait to see The Pigs perform again.